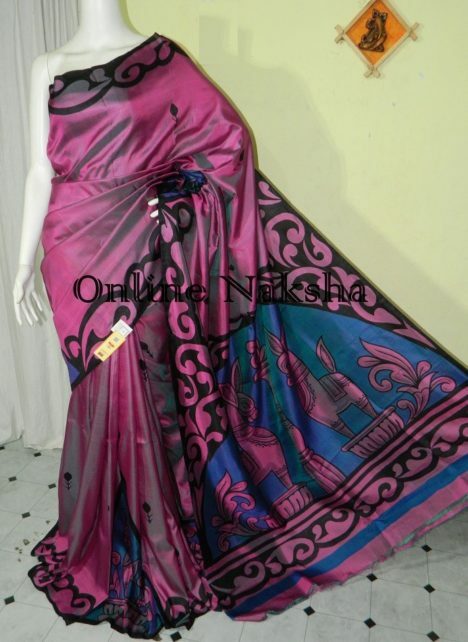 Vibrant dual tone magenta color silk saree that will perfectly match your needs at any occasion. This saree is beautifully hand painted at border and aanchal. Ancient culturad design is perfectly incorporated to match your impact at any party or occasion. Heritage “Terakota” Design will be seen on the pallu. 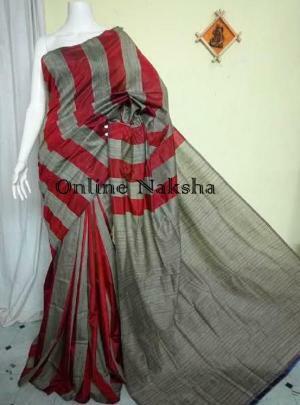 Also our brand ” Online Naksha ” as well as “Silk Mark” will assure you genuinely the product quality. 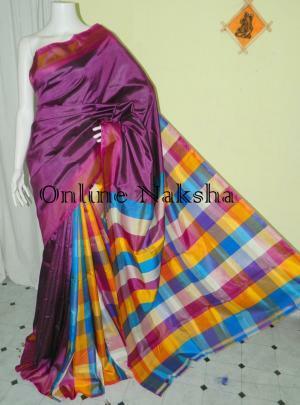 Buy this dual toned Handpainted Pure Silk saree for your wardrobe.